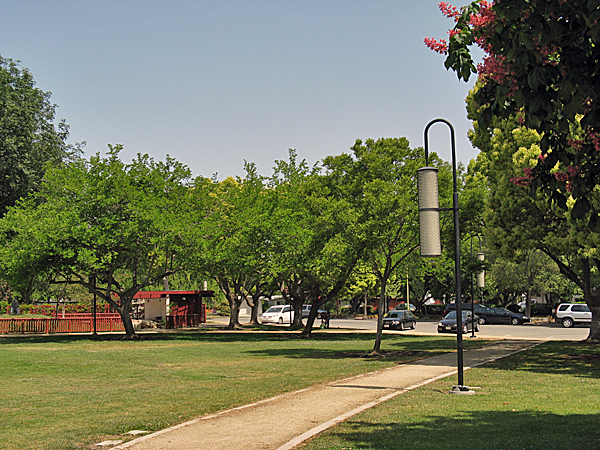 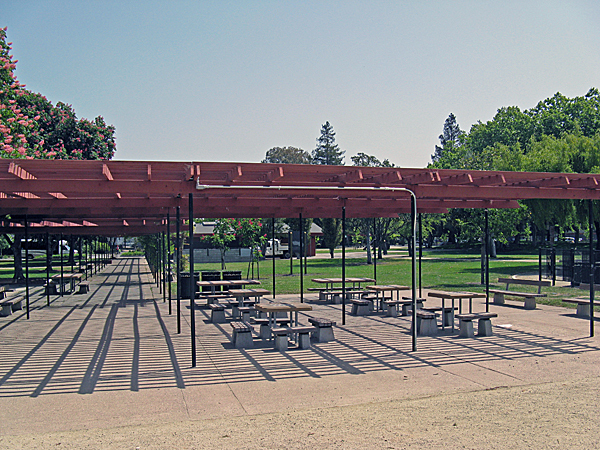 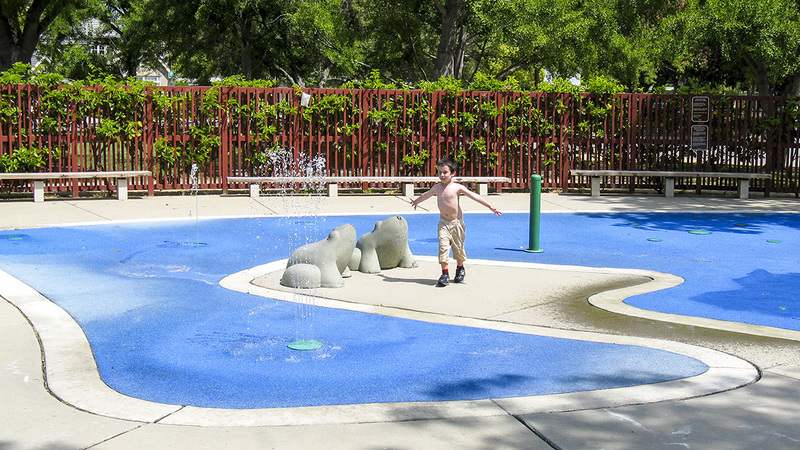 This 21-acre community park, designed by landscape architect Robert Royston in 1956, serves as an example of postwar park design and a nod to changing cultural attitudes towards the role of outdoor recreation in suburban American life. 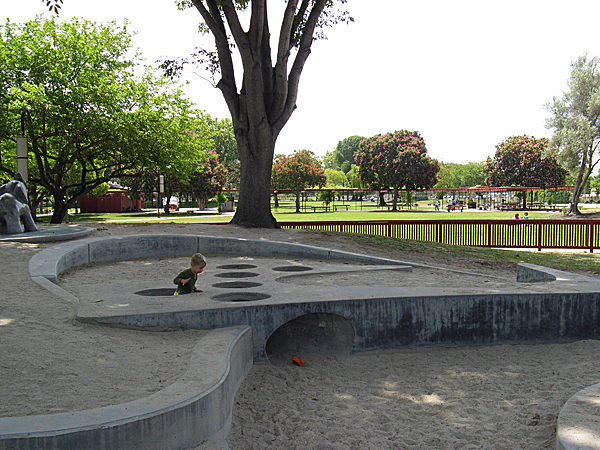 Royston understood that neighborhood parks were an “extension and an integral part of the lives of the people [living] around it.” Influenced by the biomorphic shapes and thin verticals used by 20th century artists, Joan Miro and Piet Mondrian, and embraced by the designer’s contemporaries, Garrett Eckbo and Asa Hanamoto, Royston used functional zoning to separate potentially conflicting uses and users and a system of axial and looped pathways to connect spaces in these modernist recreational facilities. 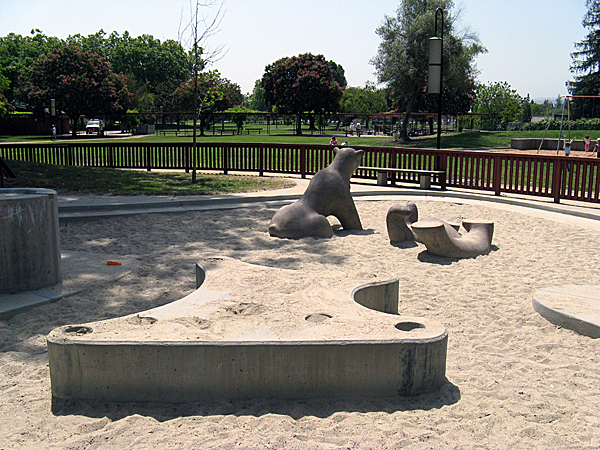 With Mitchell Park, the designer employed these concepts while including areas for recreation, performances and other special events, picnics and children’s play. 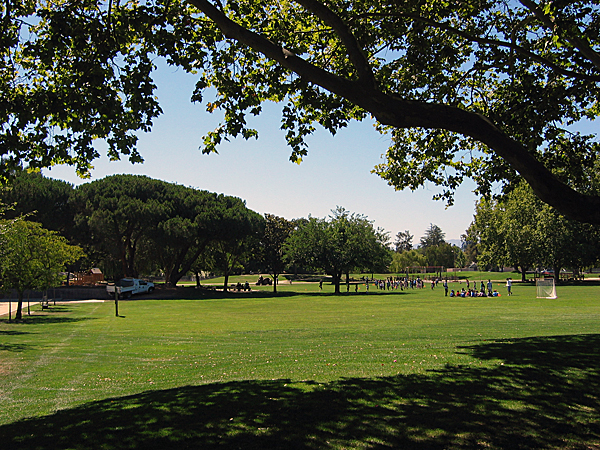 Curving turf berms and fencing as well as tree plantings selected for seasonal interest defined functional areas both at grade and vertically. 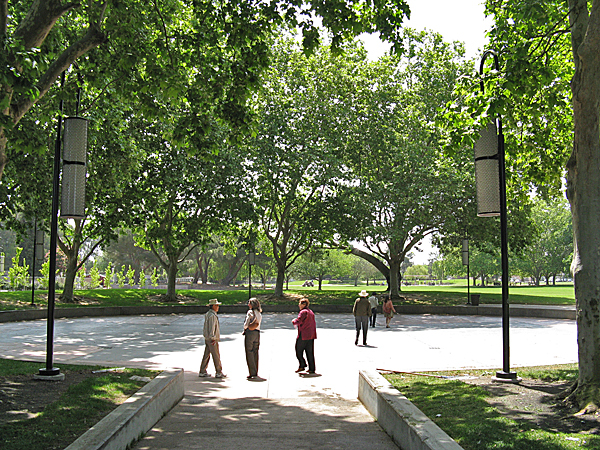 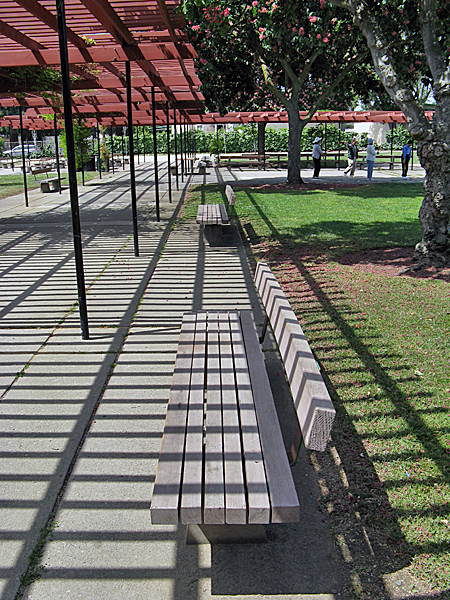 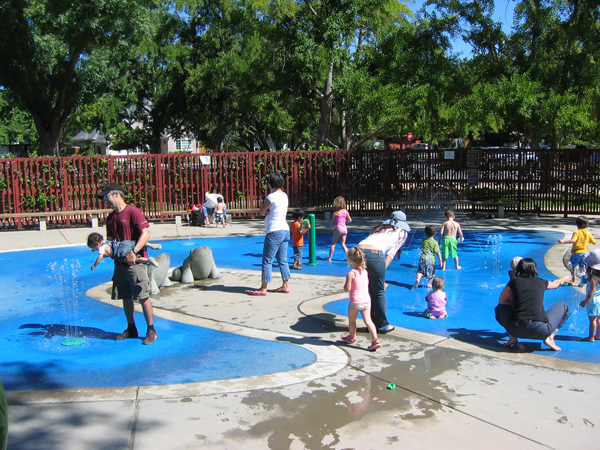 In 2007, a city renovation of Mitchell Park, with input and participation by Royston, was completed; the rehabilitated park includes compatible new activities, reflecting changing visitor uses over time, whilst continuing to fulfill Royston’s vision of a park as a public garden for the enjoyment and gathering of diverse communities.